Being part of Gulf Market International WLL ALFanar medical has been serving the local and regional business community for the last 35 years. One of the most successful subsidiary of it has been witnessing a steady growth since the day it was founded. 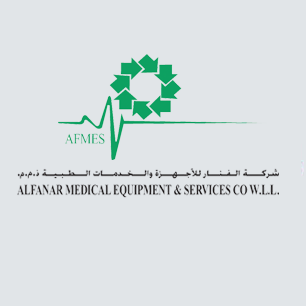 Because of its firm believe in quality, AlFANAR Medical has managed to become a leading supplier of a wide range of distinguished products and services which cater for the needs of all medical specialization within hospitals and other healthcare providing facilities. In this fast expanding Division, our experienced Bio-Medical Engineers, Customer Care and After Sales Professionals and Sales Team ensure our clients’ receive the best possible service, building our reputation and maintaining Customer Satisfaction. AlFanar Medical is in collaboration with Super Religare Laboratories (SRL) to provide Bahrain with the latest technology in Laboratory services; including, but not limited to, introducing Specimen Testing to the market which was previously not available in the Kingdom of Bahrain. We help our Clients provide quality Healthcare at affordable prices, introducing the latest technology, maintaining outmost customer relations and constant striving to bring the best to Bahrain’s Medical Market.